Infection. Defeat of Kosaki A and B viruses, influenza, CMV, ECHO , HIV, Epstein-Barr. Bacterial infections. Beta-hemolytic streptococci have a special tropism to the tissues of the heart. Less infrequent to myocarditis are parasitic (trichinosis) and fungal infections (candidiasis). Allergy. The defeat of the heart muscle is more likely to occur with hypersensitivity to antibiotics, anti-tuberculosis drugs, vaccinations, sulfonamides. Very rare cases of myocarditis have been documented after taking Dopegit (a means to reduce blood pressure). Toxic damage. The use of cocaine, the abuse of antidepressants. Myocarditis can develop in patients with thyrotoxicosis (due to excess catecholamines). Idiopathic nature. Pathology caused by an unknown cause, but having all the signs of myocarditis. The combination of several factors (for example, infection with beta-hemolytic streptococcus against the background of thyrotoxicosis) can lead to an increase in the area of myocardial death and, consequently, to a greater scarring. Focal. Partial defeat of the myocardium. Cicatricial changes are in the form of foci. They can be small / large, single and multiple. Diffuse. Elements of connective tissue are evenly distributed throughout the heart muscle. Special classification exclusively for postmiocardic cardiosclerosis is not provided. With cardiosclerosis with small foci, moderate diffuse lesion, there may be an asymptomatic course. More often it is characteristic for people of a young age who have not previously suffered from other cardiovascular diseases. Scar formation in the myocardium is a relatively slow process. In the course of it, adaptation mechanisms that allow the heart to cope with the load are gradually connected. The connective tissue is not able to contract. Therefore, if the heart lacks the remaining working tissue, compensatory hypertrophy of the myocardium arises (the growth of the muscle mass of the ventricles, first of all, the left one). At this stage, patients often do not make complaints. Dyspnea. More often has an inspiratory character (breathing is difficult). In severe cases, there is orthopnea - severe dyspnoea in a horizontal position, decreasing when taking a sitting position. Weakness. There is increased fatigue, lethargy. Edema. Usually first appear in the area of the lower extremities. Unlike edema in vascular diseases (for example, varicose veins) they are always symmetrical. Can be combined with ascites (accumulation of fluid in the abdominal cavity). Increase in heart rate. It arises due to the fact that a heart that is not capable of a normal reduction, tries to "pump out" the necessary volume by speeding up its work. Reduction of blood pressure. It is characteristic for severe CHF. Symptoms of CHF may range from mild to severe. The rate of transition to decompensation, the degree of symptom severity depends on the area of the affected myocardium, the presence of concomitant diseases. Foci of cardiosclerosis can become a source of arrhythmia. The type of rhythm disturbance depends on the site of the heart. For example, an arrhythmia in the type of bigeminy is possible: the formation of a pathological pulse after each normal stroke (ratio 1: 1). Progression of CHF in postmiocardic cardiosclerosis also can cause arrhythmia. Atria, which are stretched from the overload volume, begin to flicker, that is, chaotically shrink. Subjectively, irregularities in the rhythm can be felt as interruptions in the work of the heart, a feeling of fluttering or a coup in the chest. With constant forms of arrhythmia, patients often do not feel them. Particular danger is represented by episodes of sudden loss of consciousness. ECG. Changes in the electrocardiogram are not specific. They can indirectly testify only to the presence of cicatrical changes without specifying the cause. For example, identical signs on the ECG are detected with postinfarction cardiosclerosis. The daily monitoring of the ECG is very informative. It allows you to record episodic rhythm disturbances. ECHO-KG. It is possible to estimate the volume of the heart chambers, the left ventricular ejection fraction, and the localization of sclerotized sites. Chest X-ray. It is possible to detect an increase in the chambers of the heart, venous stasis in the pulmonary vessels. Scintigraphy. The study is based on the ability of tissues to capture certain radionuclides with varying degrees of intensity depending on the functional state. In areas of cardiosclerosis, they practically do not accumulate. Laboratory tests do not have specificity, but can detect the consequences of myocardiosclerosis. Assign a clinical analysis of blood and urine, a biochemical blood test. The list of studies is determined individually. Preparations that could turn the connective tissue back into muscle tissue do not exist. If myocardiosclerosis did not lead to severe cardiac dysfunction, dynamic observation is indicated. Treatment for postmiocardic cardiosclerosis is based on the elimination of its consequences. For example, with CHF, diuretics may be prescribed (to relieve blood flow), beta-blockers (medications that reduce heart rate), cardiac glycosides (to increase myocardial contractility), beta-blockers. 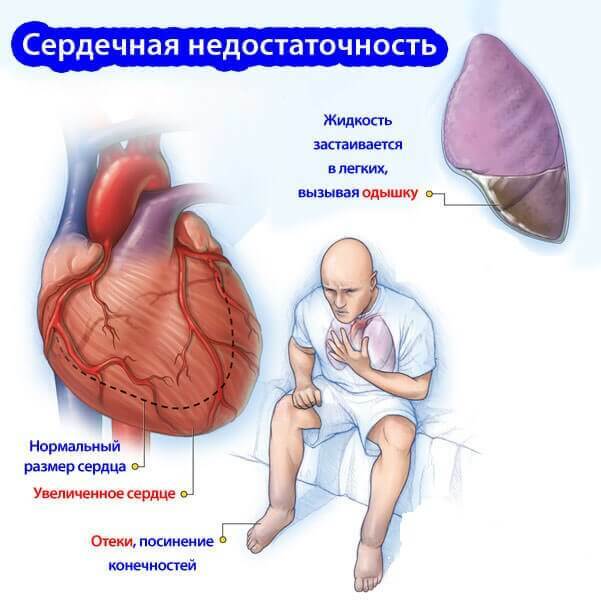 If conservative therapy does not help stop the progression of heart failure, heart transplant is performed. In case of rhythm disorders, drug therapy is possible. For example, in atrial fibrillation, amiodarone is prescribed. In the presence of indications, an EKS (pacemaker) is installed. Myocarditis, caused by rheumatic diseases (when infected with beta-hemolytic streptococcus), is more often than scarring of the myocardium. Not inferior in frequency and allergy. Influenza often leads to inflammation of the heart muscle, but in most cases ends with complete recovery. When the formation of small cicatricial changes, proper work of compensatory mechanisms, the forecast is generally favorable. The main menacing complications of postmiocardic cardiosclerosis are severe cardiovascular insufficiency and life-threatening arrhythmias.